Clark focuses on designing wearable clothes for the everyday, which she hopes will set her apart from evening wear and haute couture-focused competitors. You can catch her on Bravo during the upcoming season of the fashion competition. 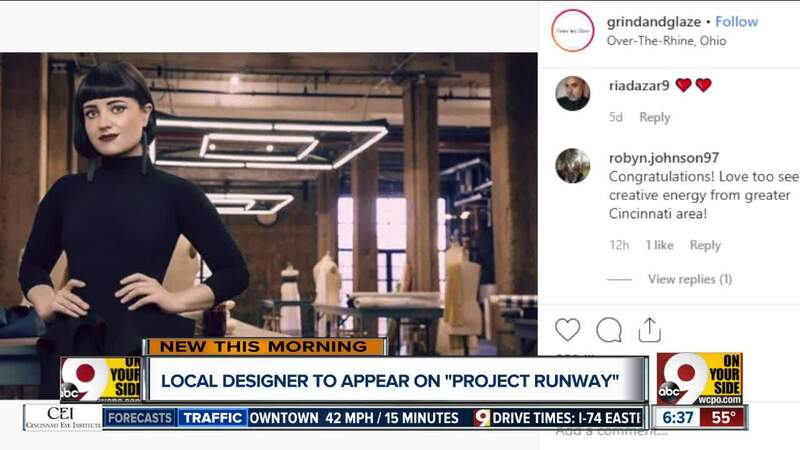 CINCINNATI — Not only will the evolution of fashion be televised, a Queen City clothing designer is tailoring its future. 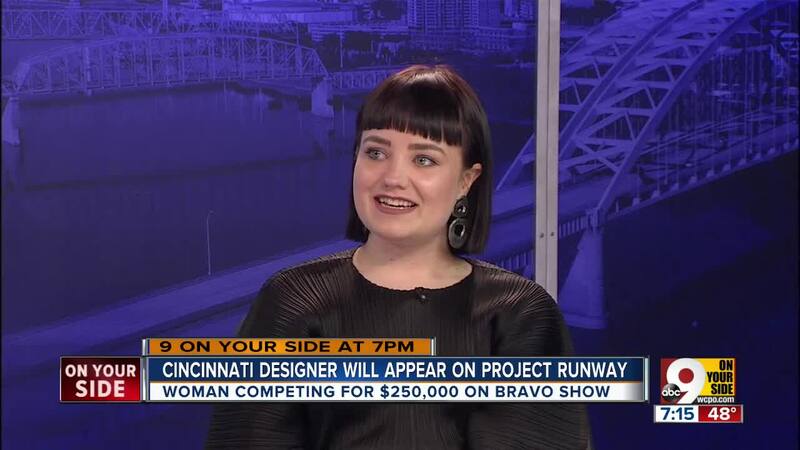 Tessa Clark, creator of the local Grind and Glaze womenswear line and a University of Cincinnati graduate, won the first competition of the premiere episode of season 17 of "Project Runway" that aired Thursday, March 14 on Bravo. The newest season of the fashion-focused reality competition series is described as "the fashion evolution." Clark is competing against 15 other designers on the show for a grand prize of more than $250,000. "I absolutely loved it," Clark said in an interview with WCPO anchor Craig McKee when asked about her experience on the show. "I personally work really well under pressure. I would do it again in a heart beat." She added she has become good friends with the designers she competes against on the show and they regularly chat with one another through a group text. Clark described her line of Grind and Glaze clothing as being inspired "by her rural upbringing" and made for daily wear versus formal evening attire. The fashion designer was raised by her mother, a self-taught ceramicist, and father, a miller, in rural Greenville, Ohio. She moved to the Queen City to attend UC's College of Design, Architecture, Art, and Planning, where she studied fashion design. While at UC, Clark interned for Marchesa and VPL in New York City, and also worked worked at Michelle Boor Paris-Vienna in Paris, France. After graduating, Clark joined Idlewild, a high-end womenswear boutique in Over-the-Rhine, where she launched Grind and Glaze. When asked how "real" the competition was between the designers on "Project Runway" she said,"It's definitely real. I would do it again in a heartbeat." Clark is unable to reveal details of how she ultimately did on the show that recorded in New York months ago.